the perfect foundation of this mattress. Coirfit Health + is the best back care mattress recommended by orthopaedic doctors. And yes, this is the solution you have been waiting for! This is the most comfortable mattress for people tired of backache problems. 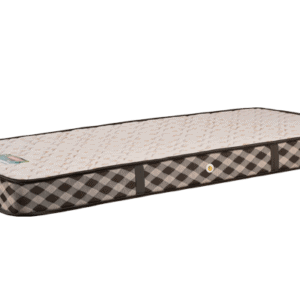 This spinal support mattress holds every inch of your body by perfectly adjusting to its contours. Eliminating all spinal problems with ameliorated bounciness and perfect alignment support. Designed to wick away excess heat, the mattress balances your personal micro-climate and keeps you thermo-neutal. Relaxes your back muscles and prevents them to work all night. Scientifically developed to suit comfort needs by providing optimum hard surface to the spine. Crafted with unique Spinal Relaxation Technology (SRTx), the mattress makes a promise of sound sleep. Enjoy healthy sleep with Coirfit’s hypoallergenic technology. Thoughtfully designed to support your spine in every sleeping position. Get deep, relaxing sleep on a bed that supports your back. Three premium layers for body contouring and pressure-relieving support.